Get rid of your mould with our fantastic, professional grade mould control and steriliser spray. 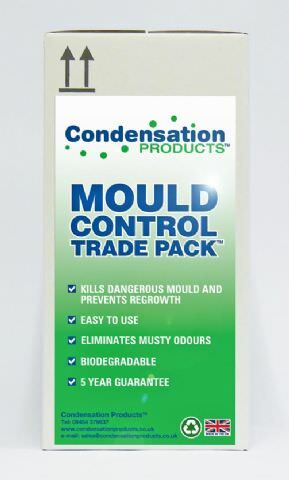 The Condensation Products Mould Control steriliser is a mould killer that contains a powerful mouldicide / mildewcide which specifically targets and kills mould & mildew growth. 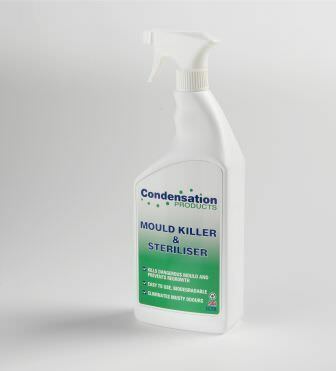 Our mould killer & steriliser solution IS NOT a cheap and cheerful fungicidal wash that you add to a bucket of water! The solution leaves a residue to help prevent regrowth. Our steriliser comes in 1 litre bottles ready to use with a spray attachment. Don’t need 12? We also sell them indivually, too! Note: Please allow 3-5 working days for delivery. 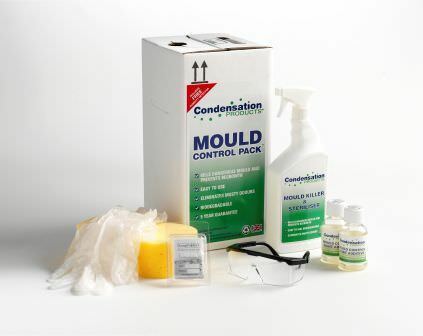 You can read more about our mould killer and sterilser (and other mould treatments) here.